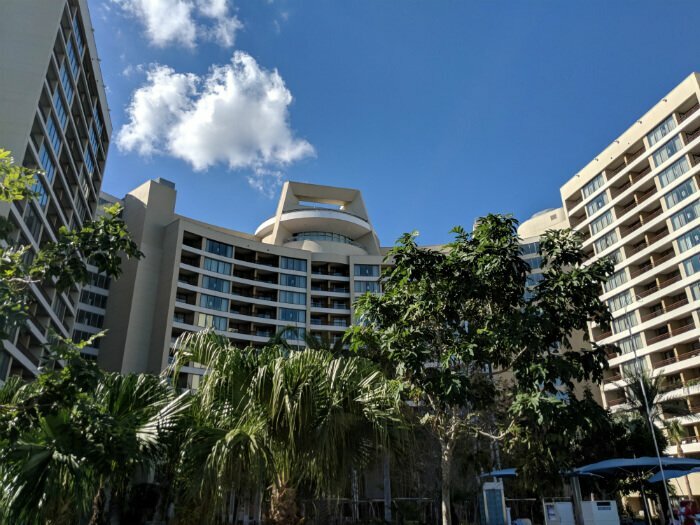 Recently, I had the pleasure of visiting Disney World and staying at both a studio villa at Bay Lake Tower at Disney’s Contemporary Resort as well as a studio villa at Disney’s Polynesian Villas & Bungalows. 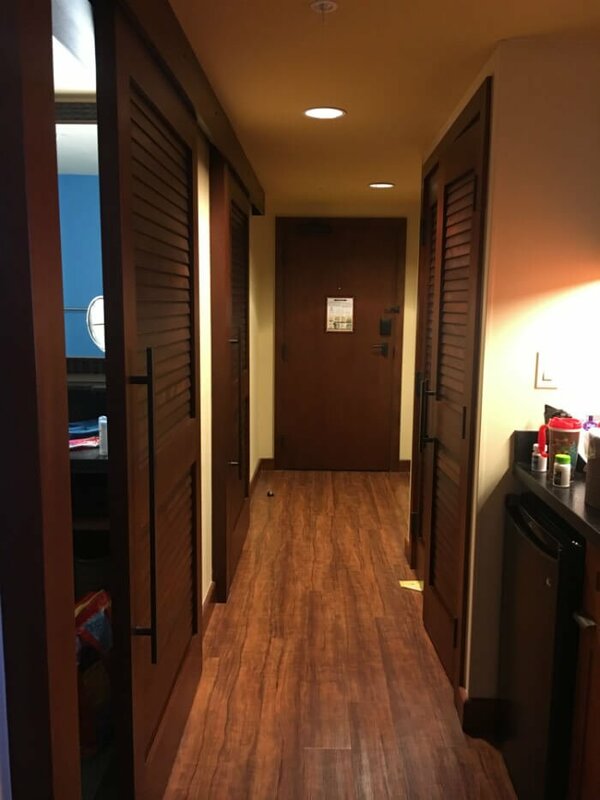 I am not a Disney Vacation member, but I was able to stay booking a stay through David’s Vacation Club Rentals and was able to book both studios for less than $300 a night – and on a holiday weekend, no less! 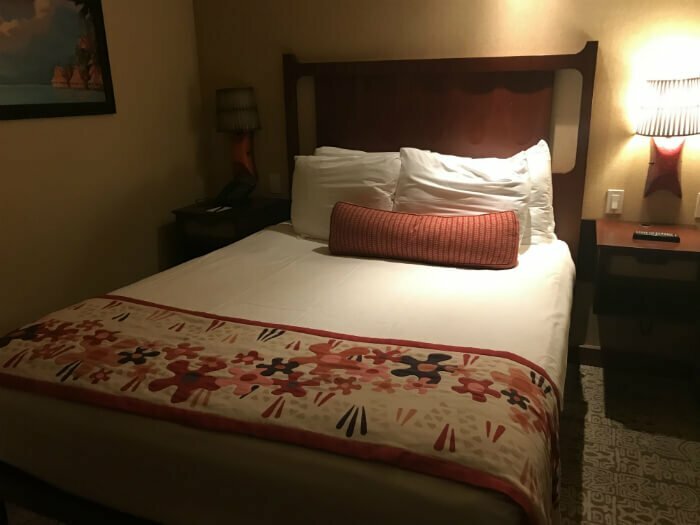 If you are looking to book yourself a stay at a greatly reduced price, then I highly recommend booking through David’s Vacation Club Rentals. 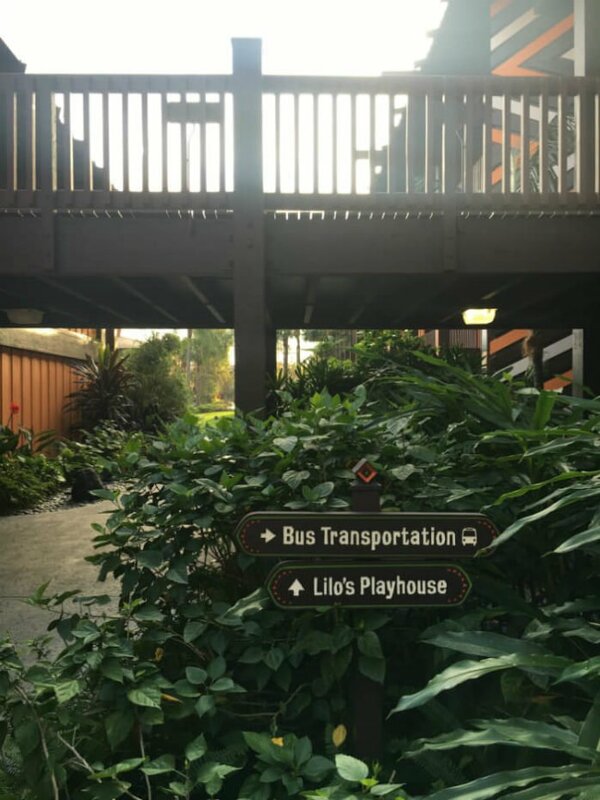 And if you are confused what I mean by booking a Disney Vacation Club rental, then see here for more information on the whole DVC process. 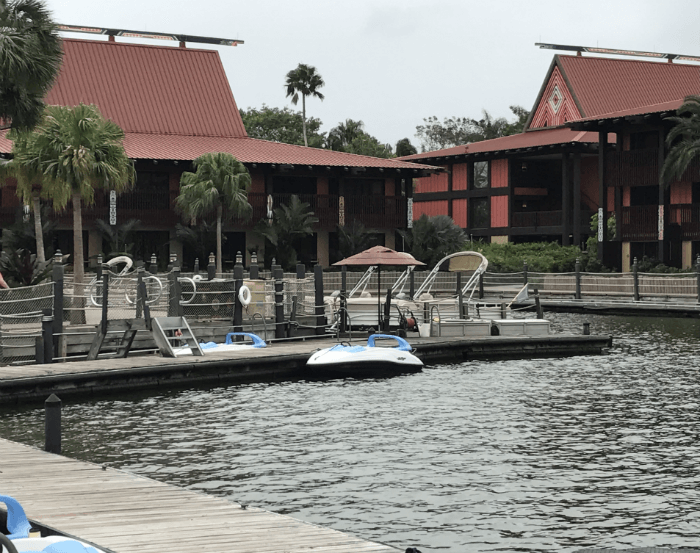 If you are wanting to stay at either Bay Lake Tower or the Polynesian Resort villas & bungalows, then you are in for a treat! I thoroughly enjoyed both stays. 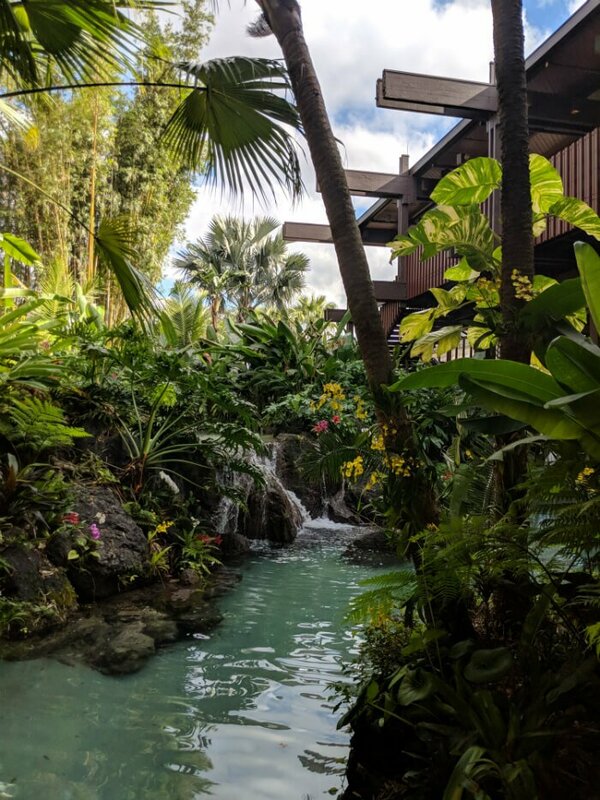 I have always loved both Polynesian & Contemporary and have always associated the two in my mind, not just because both are hotels on the monorail, but they were the first two Disney resorts I ever stayed in as a kid. 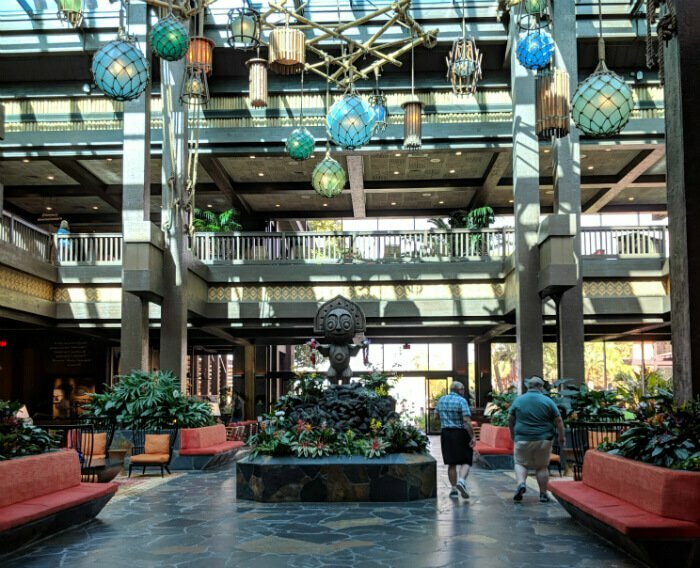 Of course, when I was a kid I stayed in the hotel and not a DVC villa because the DVC at Polynesian and Bay Lake Tower DVC rooms were (relatively speaking) recently built, so there’s a good chance you’ve never stayed at either. 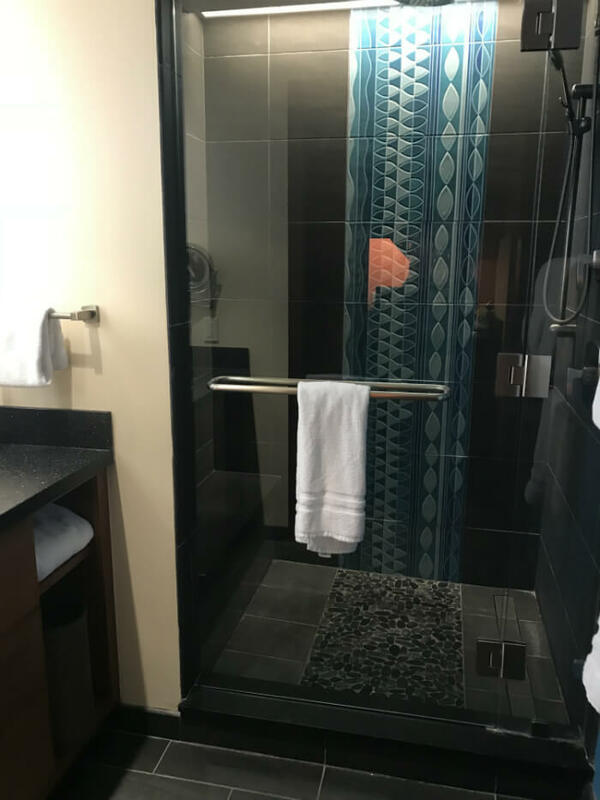 And if you are having trouble deciding whether to book a villa at Polynesian or a villa at Bay Lake Tower, then keep reading. 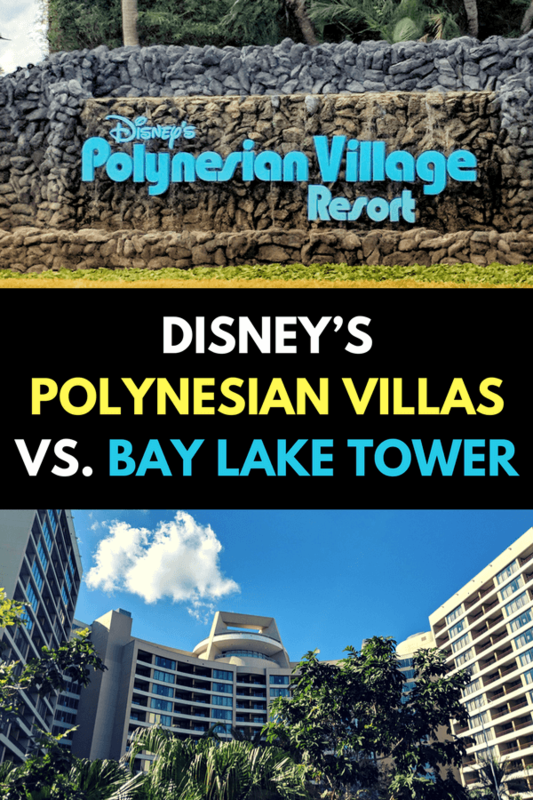 I have taken 11 factors that may or may not be a deal breaker in terms of you staying there and have compared the Polynesian villas to the Bay Lake Tower villa to help you decide. 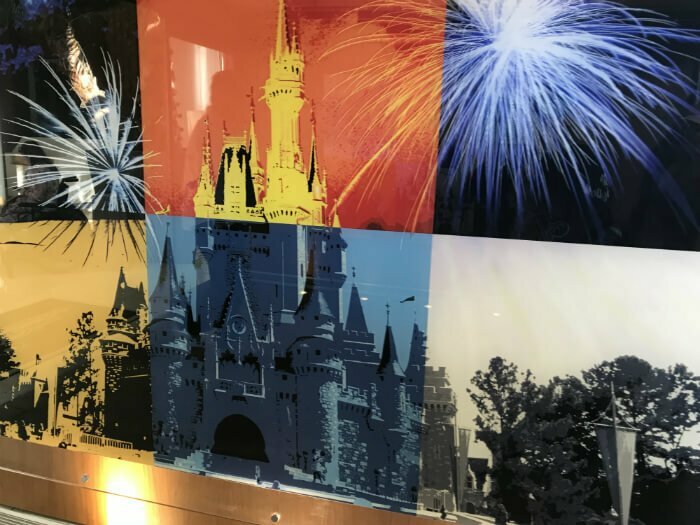 I think you will really enjoy either, but everyone has different criteria as to what can make your Disney trip distinctly wonderful for you, so hopefully this list can be of assistance while booking your magical vacation stay! 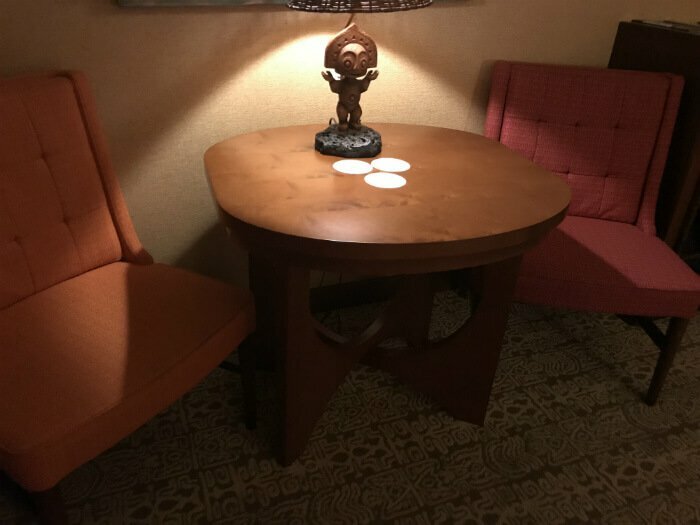 I really love the Contemporary Resort, but I think it does lack a bit in theming; namely, when I stay there, I don’t feel as if I’ve been whisked away to another era. 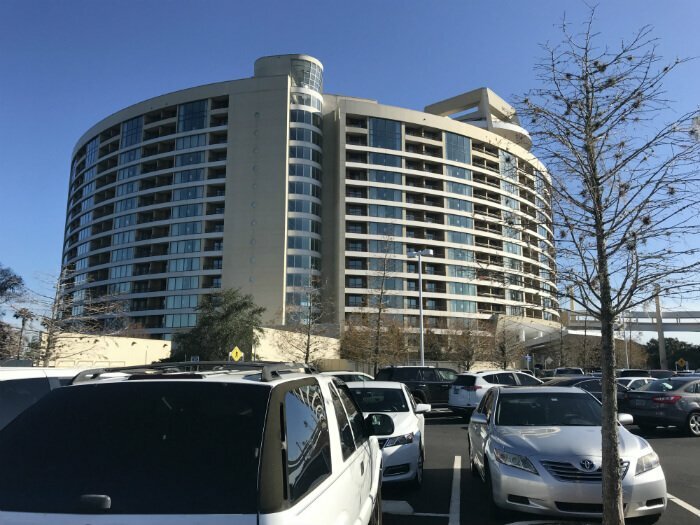 Bay Lake Tower has the look and feel to me of an upscale, nice hotel, but a hotel that could be located anywhere. 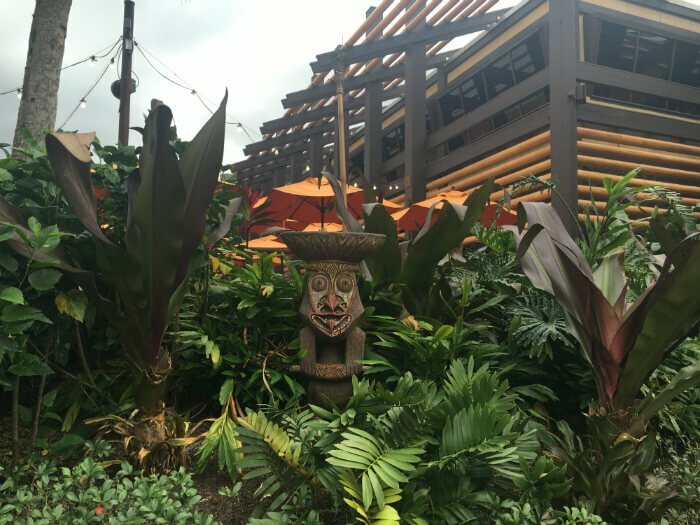 With the Polynesian Village, I really feel that I’ve been transported to Hawaii or another South Pacific island. When you spend all day at the parks, the last thing you want to do at night is have to wander around at night looking for your hotel. 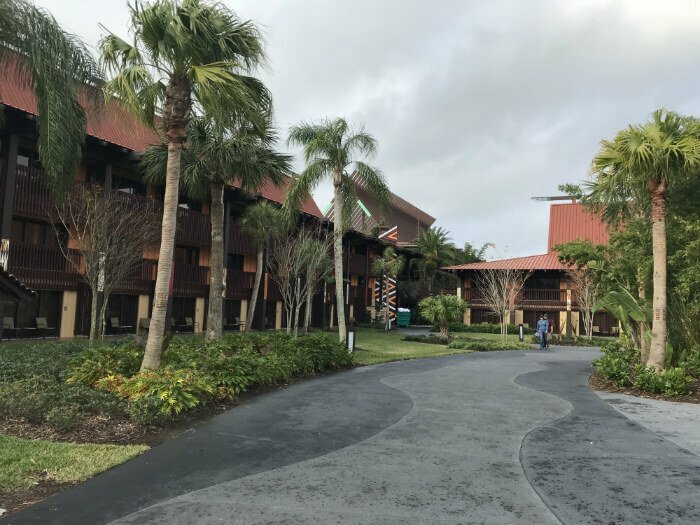 Polynesian Resort is certainly not as spread out as say Coronado Springs or Old Key West is, but the DVC villas are the farthest away from the Great Ceremonial House is. And all the buildings basically look the same with no real landmark to look out for (like during my last stay at All Star Music I kept an eye out for the giant cowboy boot for the country music section & last time I was at Art of Animation I kept an eye out for King Triton), so more than once at night I found myself getting a bit lost. 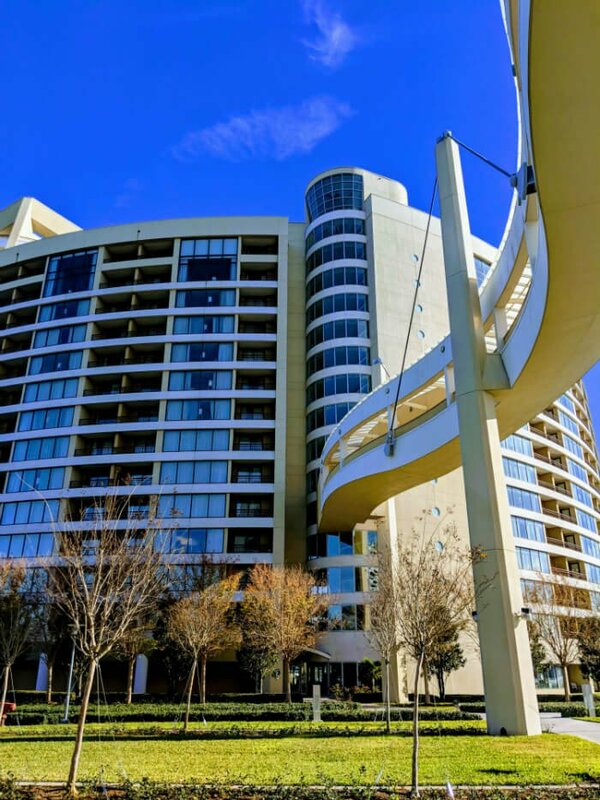 Bay Lake Tower, on the other hand, is one huge building that is compact so that limits you having to walk around. 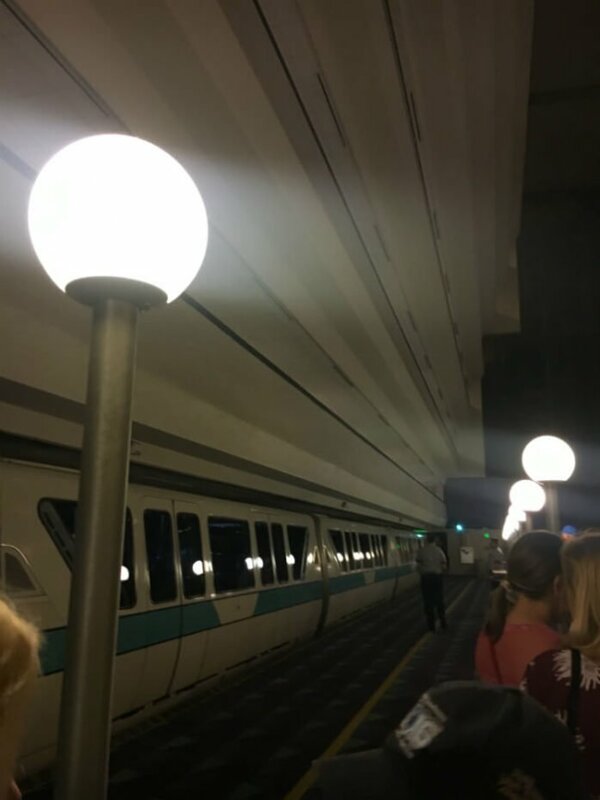 If you have just gotten off the monorail, then you can take the covered Sky Way Bridge to Bay Lake Tower, and since it is indoors it is well lit up so you can easily find the elevator and get to your room. Another added bonus of Bay Lake Tower: if you find yourself on the monorail and you notice it’s raining, you don’t have to worry about getting wet because the Sky Way Bridge is covered. 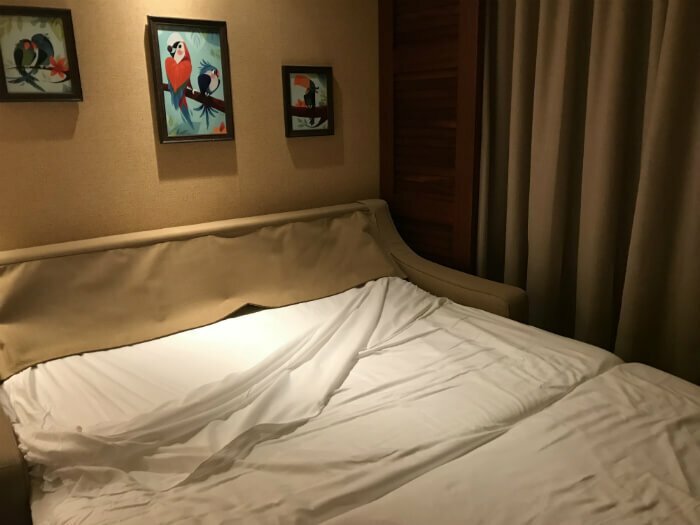 Since you’re at Disney World you may not want to spend much time in your room, but if you like spending time at the room, here are a few things you might want to do. The couch is larger at Polynesian, but the couch is more comfortable at Bay Lake Tower. 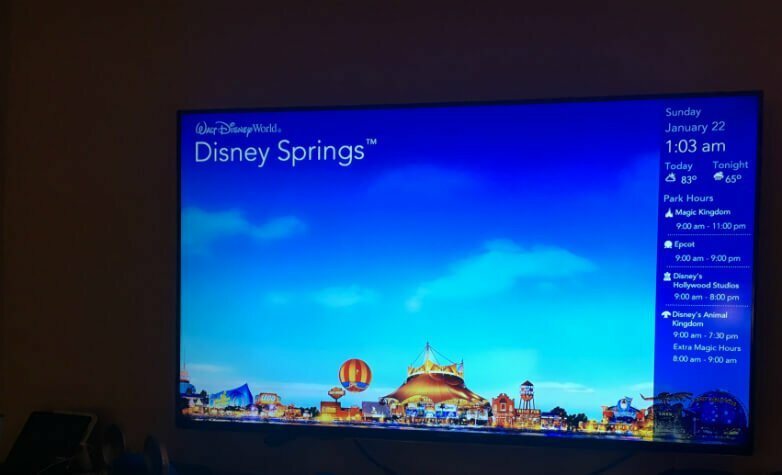 At Polynesian the TV is much, much larger so if you are like me and you often have a sports game that you’ll make time for during your trip, you’ll enjoy it a lot more at your room at Polynesian. 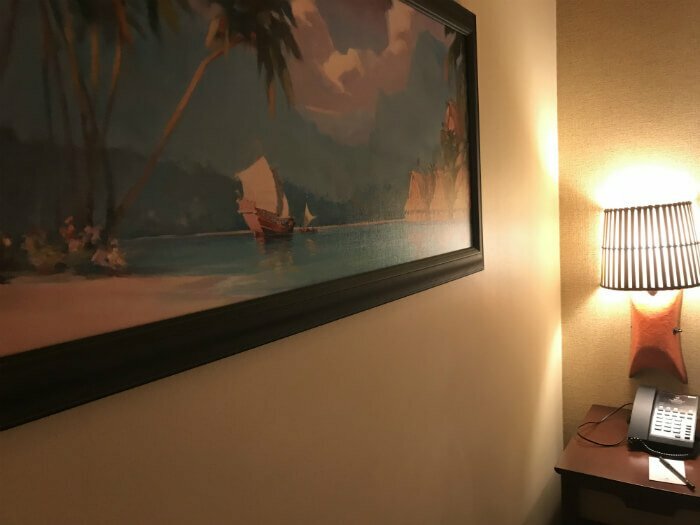 Polynesian had fun South Pacific themed décor, while my room at Bay Lake Tower had great artwork featuring everyone’s favorite Mouse, Mickey! 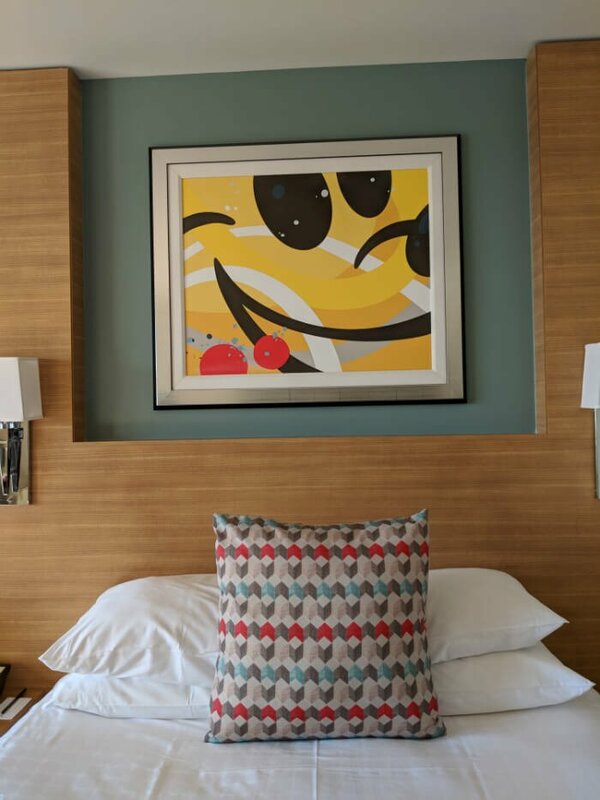 The biggest difference to me between a studio at a DVC resort in Disney World and a regular non-DVC room is the bed situation. 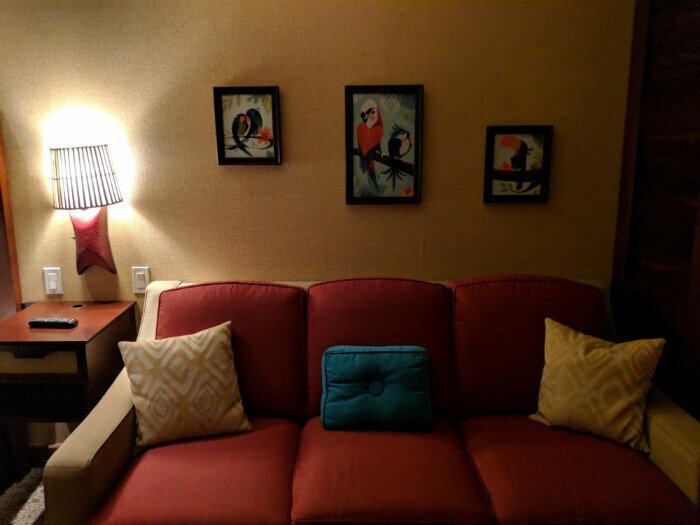 With the exception of the studios at Old Key West Resort, the DVC studios typically have one queen bed and then a pull-out couch. 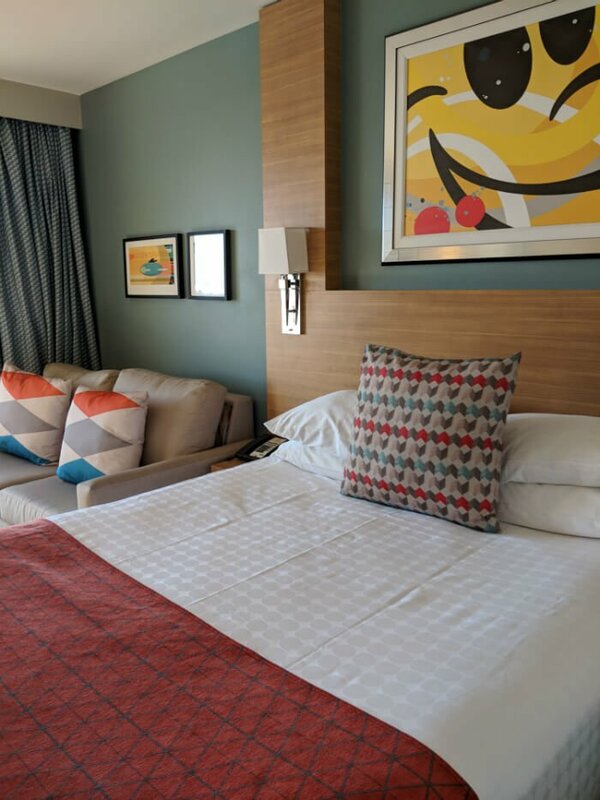 Now, if you are looking to book a room for just 2 adult or say 2 adults and very small children, then this doesn’t matter, but if you are say booking a stay for 4 adults together or you have older teenagers, then this is where it matters. The pull-out sofa beds to me vary in comfort from one resort to the other. 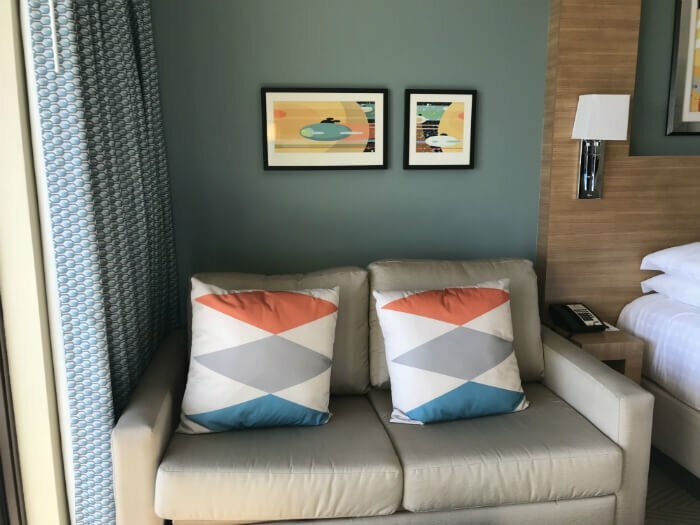 Luckily, the pull-out sofa beds at both the Contemporary Resort and Polynesian Village were both comfortable. 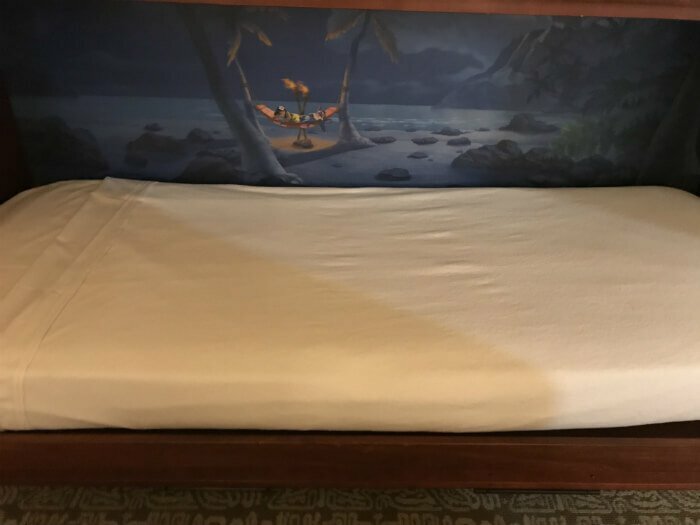 The big difference, though, is that in addition to a sofa bed, the studio at Polynesian Village had an adorable pull down bed with a cute Lilo & Stitch picture. 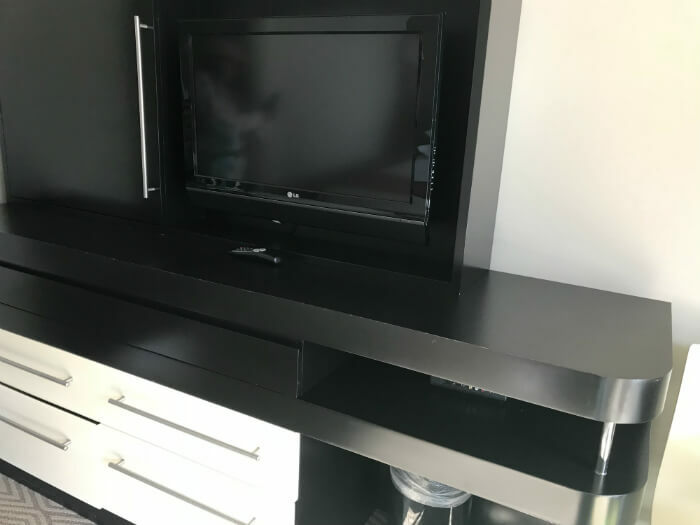 This is great if you have multiple kids needing a bed, and if you only have one kid they will enjoy the Lilo & Stich bed more than the pull out sofa bed – plus it’s easier to pull down the bed than it is to pull out the sofa bed. I really love the Polynesian bathroom options. 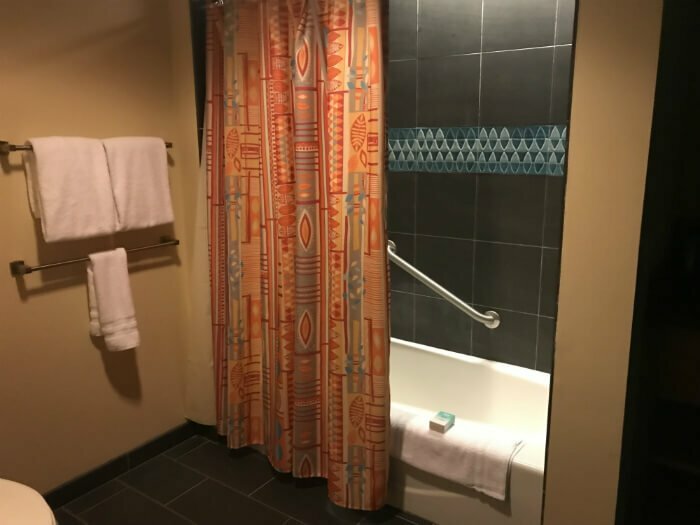 There are two separate bathroom areas, making it great for multiple people to get dressed in the morning at the same time – a real time saver that lets you get to the parks early to enjoy the shorter lines, or lets you sleep in a little and still enjoy the day! 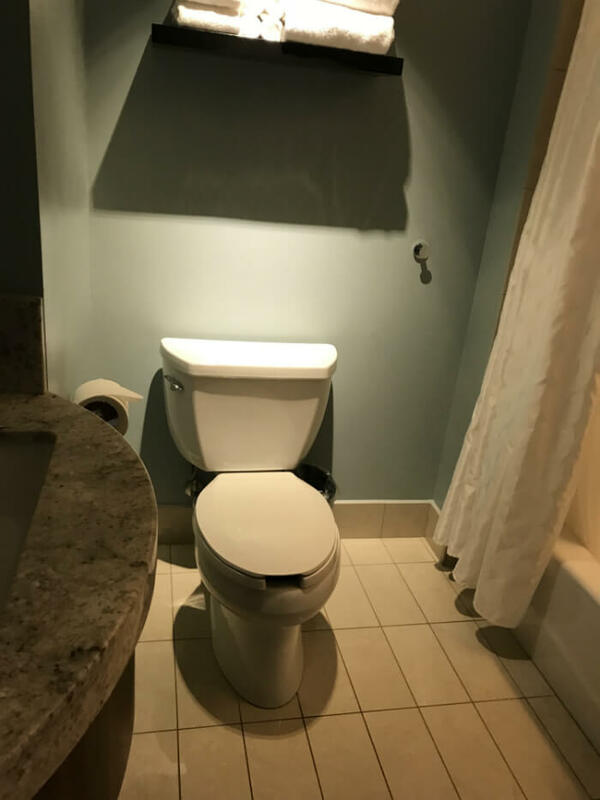 Only one of the areas has a toilet, but both have a shower and a vanity. 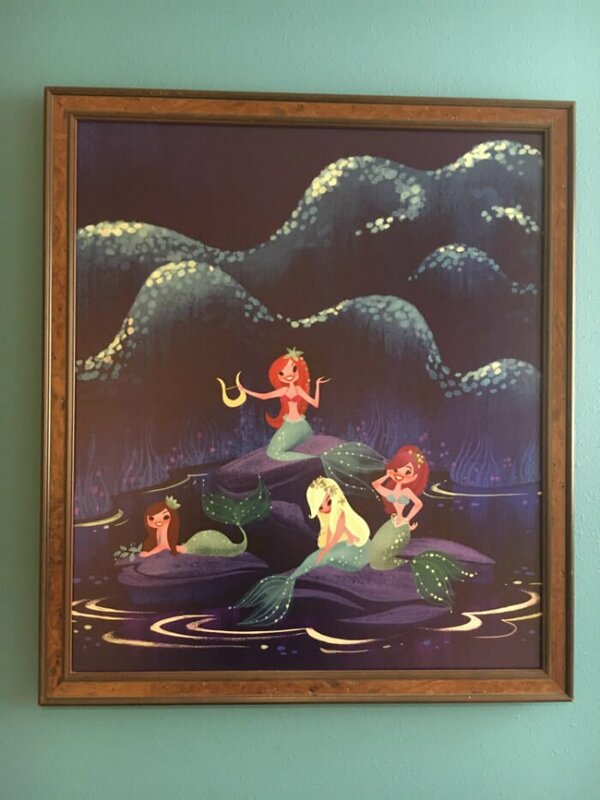 Both areas are spacious, too, and I really love the picture up of the mermaids. It makes me think of the mermaids in the Peter Pan ride. Contemporary just has the one bathroom with a toilet and a shower, and while it’s a nice bathroom, I’d still rather have two areas. I really enjoyed the pool at Bay Lake Tower. 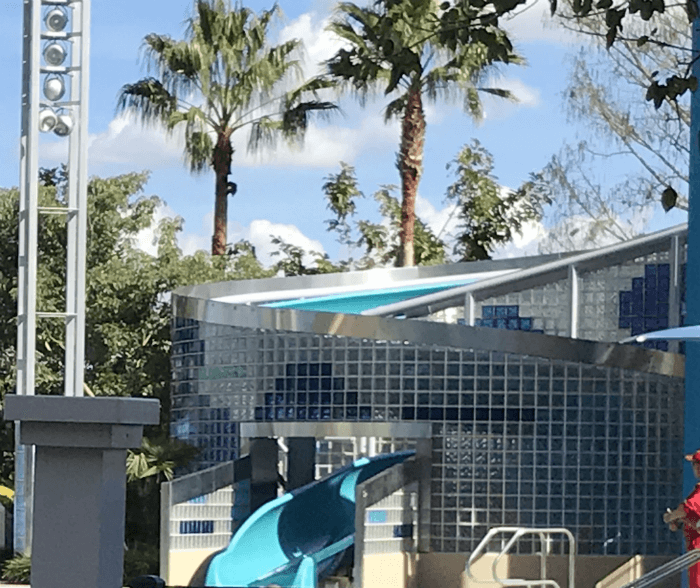 It has a lot of great features: zero entry, a water slide that wasn’t too crowded (though to be fair, the day was a little cold) a hot tub and Mickey ears which always warms my heart. The other pools at the Contemporary Resort are good, too. 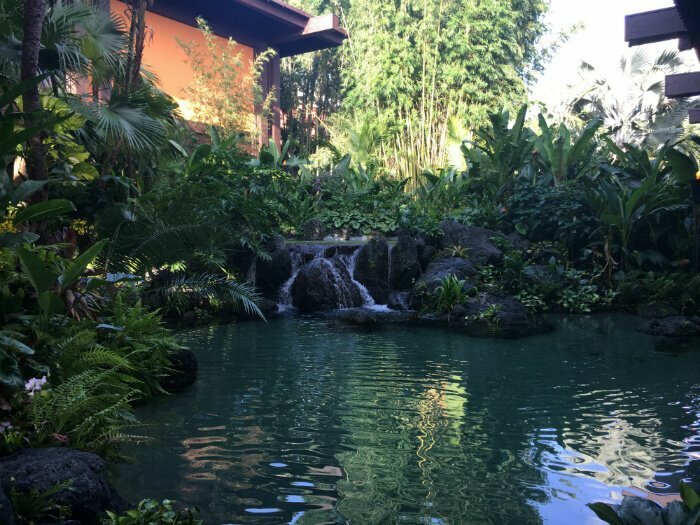 Having said that, my favorite pool would have to go the pool outside the Great Ceremonial House at the Polynesian Resort. 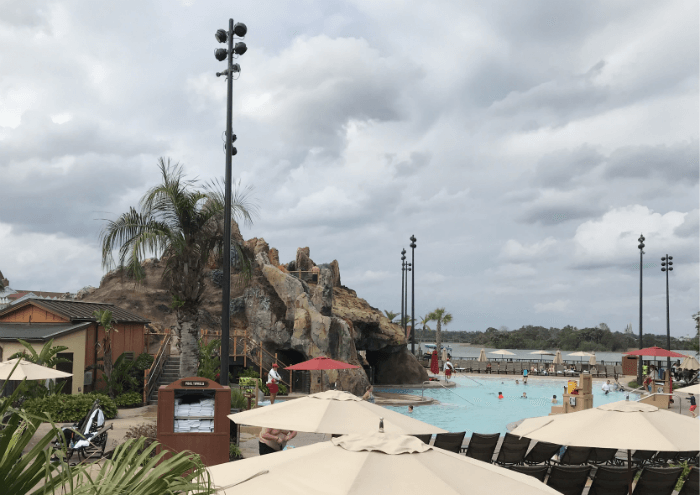 The volcano themed pool is awesome – enjoyable for adults and a bit more fun for kids. Plus I love how the pool really fits the theming of the resort. Both resort have great dining options, ranging from quick service to more expensive dining options. 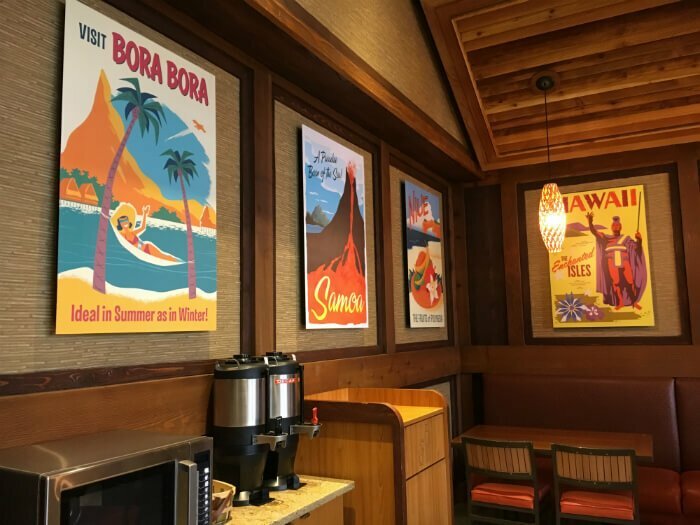 They also both have character breakfasts available – at Polynesian, you can enjoy a Best Friends Breakfast feature Lilo, Stitch & friends at ‘Ohana and at Chef Mickey you can enjoy breakfast with classic Mickey characters (Mickey, Goofy, Minnie, etc.). 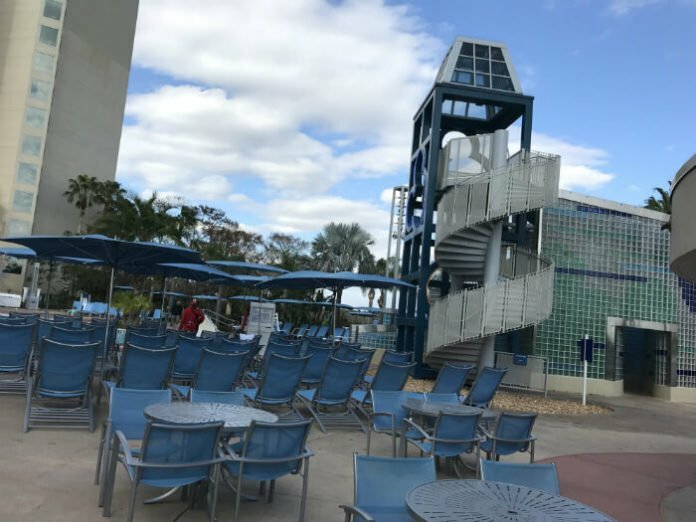 The California Grill at Contemporary does offer panoramic views of the lagoon & Cinderella Castle, while Polynesian offers Disney’s Spirit of Aloha Dinner Show. For me personally, Disney’s Spirit of Aloha Dinner Show is one of the best dining options at a Disney Resort because if you’re like me and you live on the east coast of the US you’re not going to be able to easily visit Hawaii constantly so it’s great to be able to enjoy a luau in such a setting; it’s basically an attraction & a dinner in one. 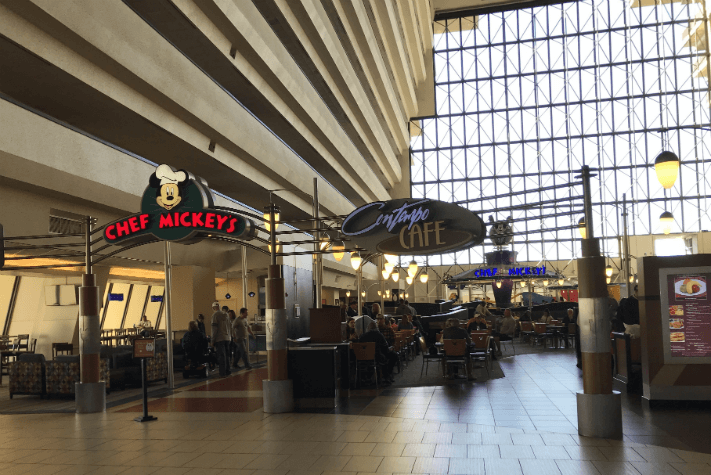 And if you’re looking for cheaper options, you can go to Captain Cook’s at Polynesian or Contempo Café at Contemporary. 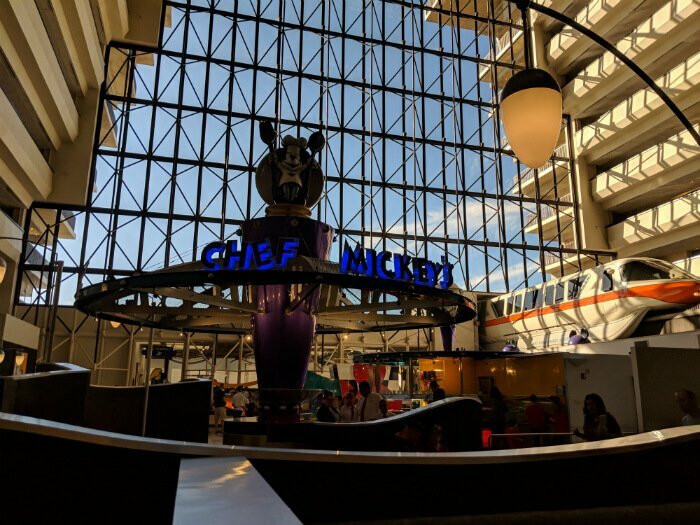 Contempo Café is really great as far as quick service goes at Disney Resorts because not only do you get to eat your meal, you also get to watch the monorail. 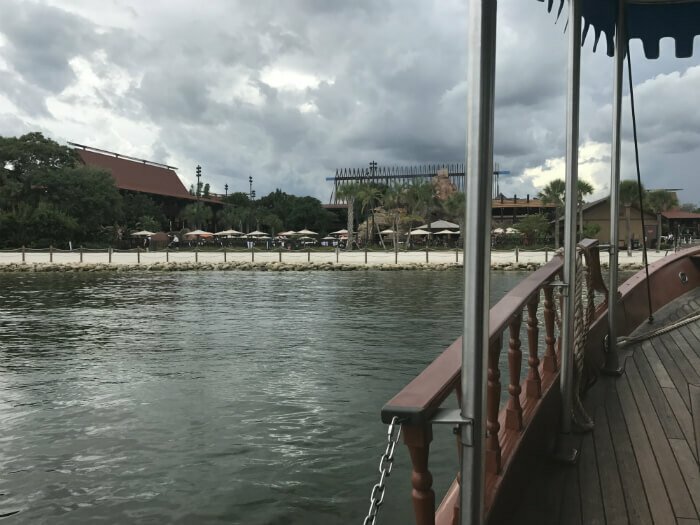 Captain Cook’s, on the other hand, offers great pictures of different Polynesian islands and plays great Polynesian music while you can watch fun at the pool – and Cinderella’s Castle in the background! 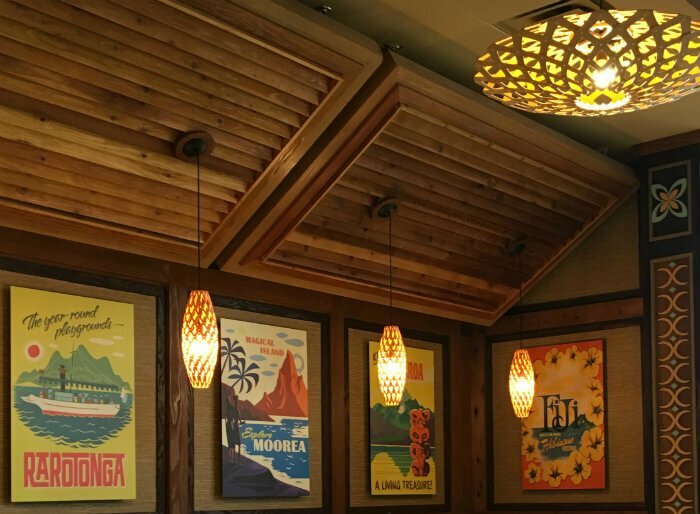 Personally, as much as I love the monorail, I prefer the atmosphere of Captain Cook’s, plus I like the menu a bit better (but that may be because I really love Hawaiian pizza). 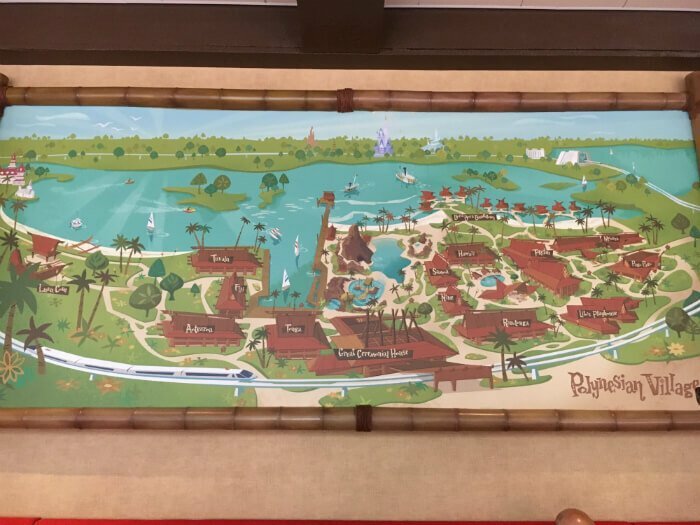 You can easily get to Magic Kingdom from both Bay Lake Tower & the Polynesian Resort villas & bungalows. 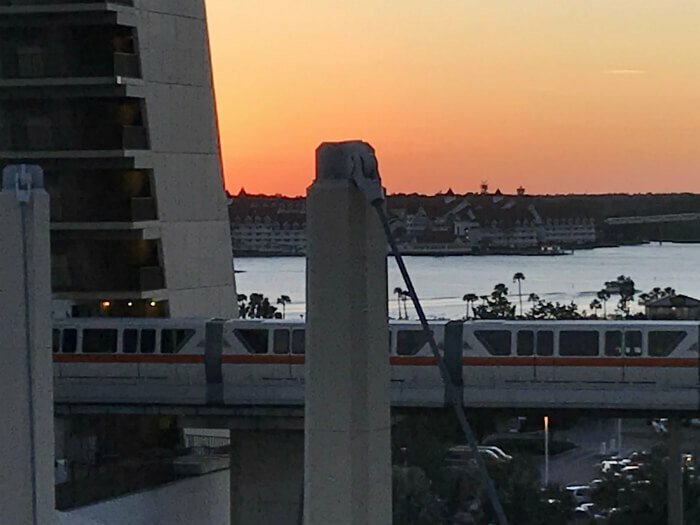 You can catch the monorail from the Contemporary Resort, which is connected to Bay Lake Tower, and at the Polynesian you can catch the monorail from the Great Ceremonial House. 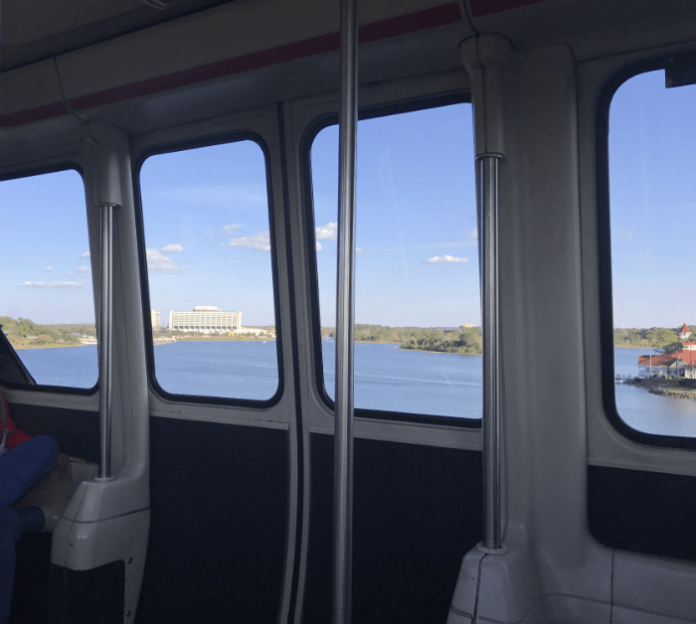 And if the monorail isn’t working, you can take a ferry to Magic Kingdom. 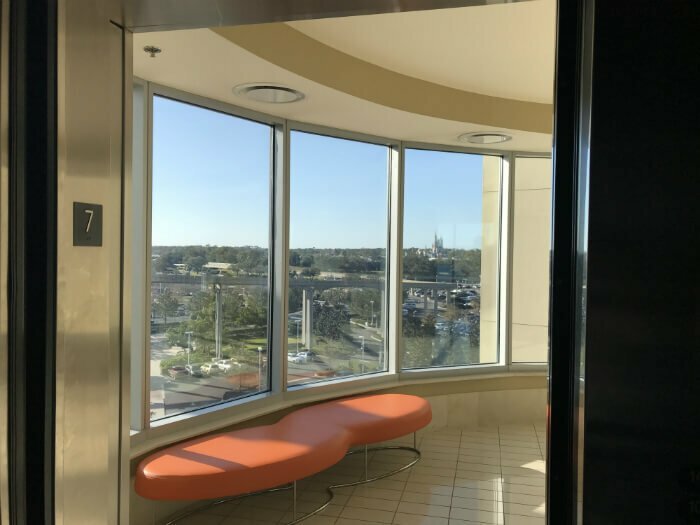 But if you stay at Bay Lake Tower you get one other special way to get to Magic Kingdom: walking! 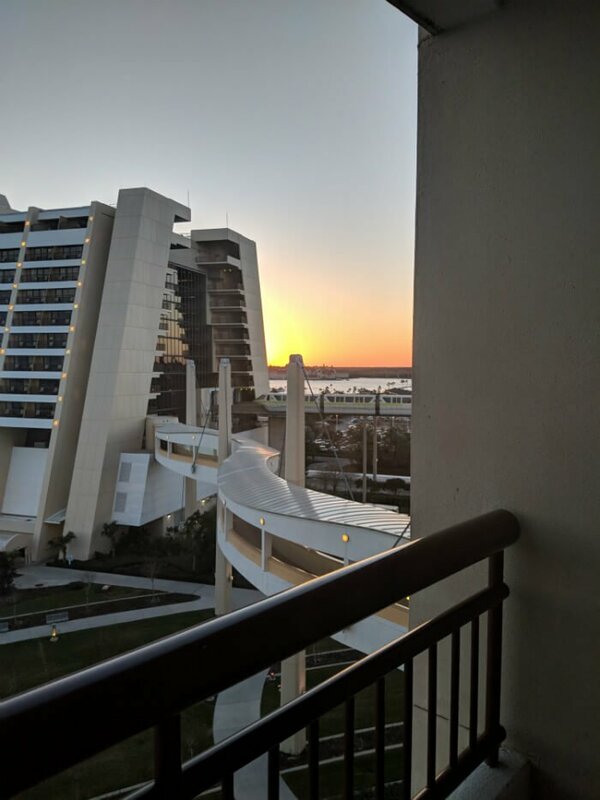 When I stayed at Bay Lake Tower, I really enjoyed walking to the Magic Kingdom. It wasn’t that far away and it’s a bit quicker than the monorail even, plus you get your own bag check on the way to Magic Kingdom so you can avoid those long bag check lines (you also get this when you take the monorail, but sometimes the bag check line from Polynesian can get really long – the line from Contemporary I found was never as long as Polynesian, probably because you can also walk to Magic Kingdom so not as many people were taking the monorail). 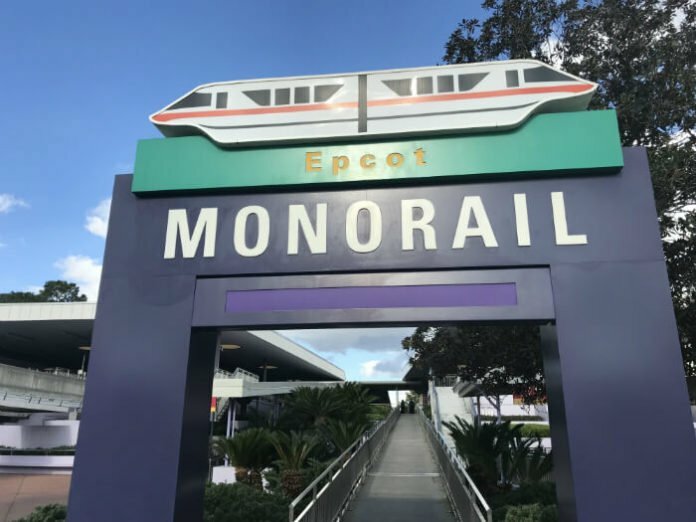 If you are staying at Bay Lake Tower, then you can take the monorail to the Ticket & Transportation center and then from there, you can take the monorail to EPCOT. 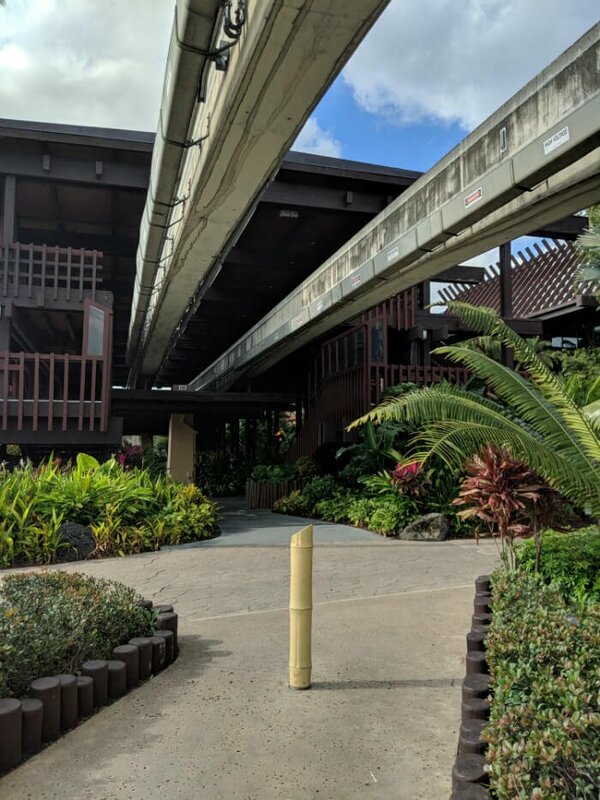 But if you stay at Polynesian, you can walk to the ticket & transportation center, which is right by the DVC buildings, and take a monorail from there, cutting your travel time in half. 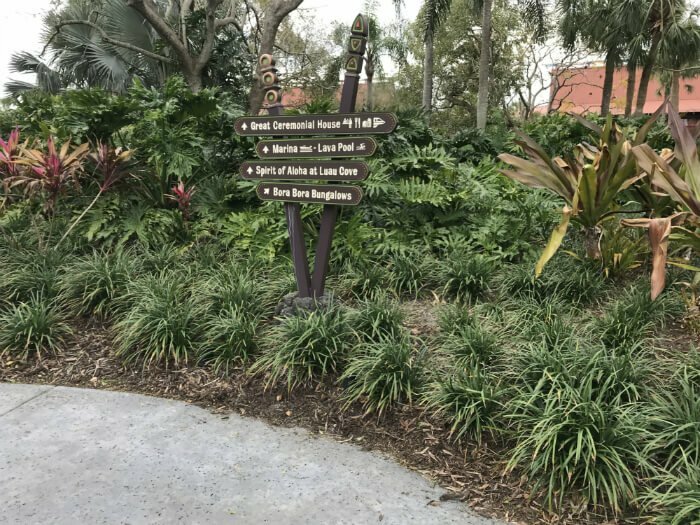 Unfortunately, neither Bay Lake Tower nor Polynesian offer any special kind of transportation to Hollywood Studios or Animal Kingdom Lodge. 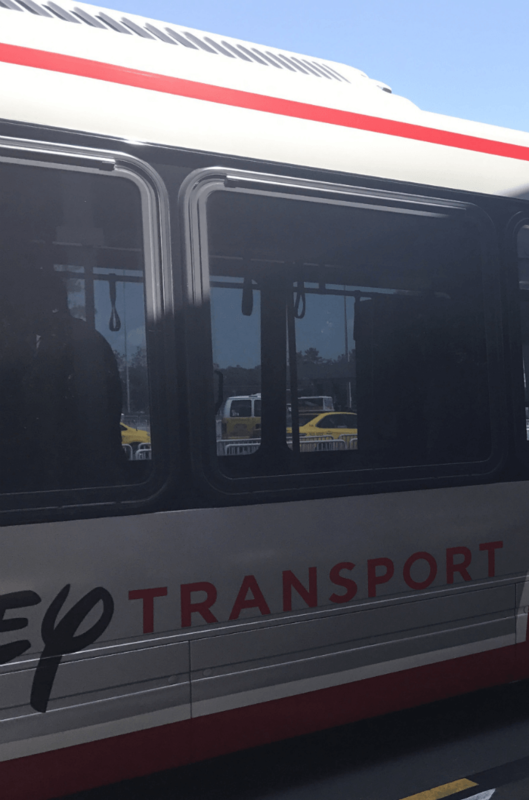 You can get to these parks via the Disney resort bus system. 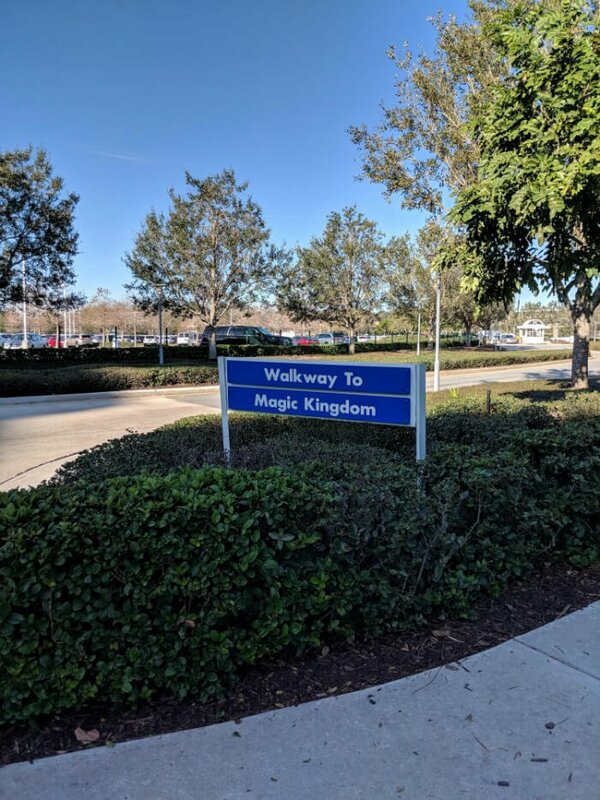 One thing I enjoy doing when I stay at Disney World is visiting other resorts. 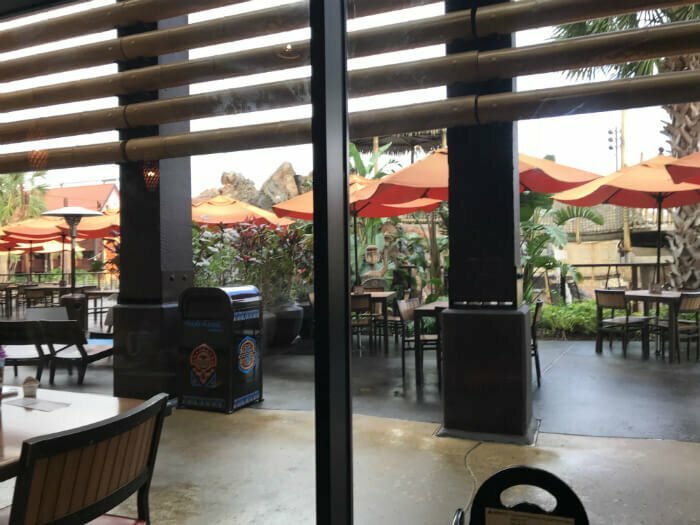 I enjoy eating at other resorts’ restaurants, because I can save money by bringing my refillable mug and the restaurants generally have less lines than the restaurants at the parks do (especially Magic Kingdom). This is one area where Bay Lake Tower excels, because you have easy access to multiple resorts. You can use the monorail to visit Grand Floridian and the Polynesian Resort. You can also take a boat to the Wilderness Lodge and Fort Wilderness. Whereas with Polynesian, you can take a boat only to Grand Floridian and then the monorail to, once again, Grand Floridian & Contemporary. So as you can see, both resorts have a lot to offer so it really comes down to personal taste & preference. But one thing is for sure: no matter which you choose, make sure you book through David’s Vacation Club Rentals for a great deal!